Read more about MSI's X299 and Z370 Shoutout promotion. They did something like this before IIRC. Was a bit of a flop, though there is this guy who turns up on another forum I use dropping random laptop reviews. 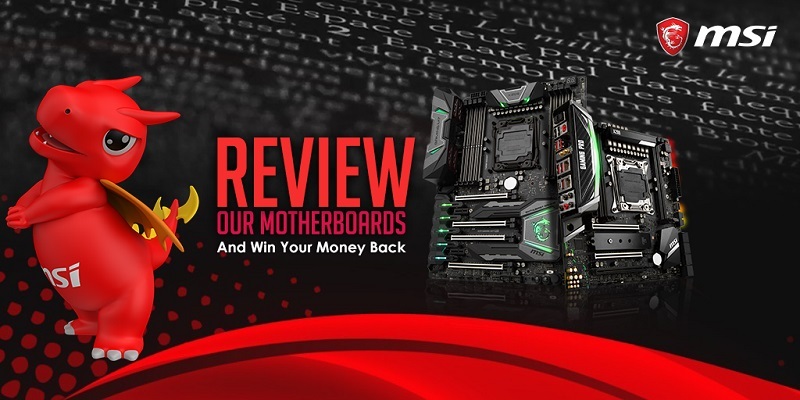 "This is the best motherboard I've ever used where I get a refund to review it"
That top logo - Do Stalkers love MSI? Even when they do they fail ! I bought a MSI Big Bang Xpower II. 24 phases, all military grade apparently. 11 months in my 3970x that was happily running along at 4.9ghz down clocked to 1.1 and refused to budge. VRM failure.